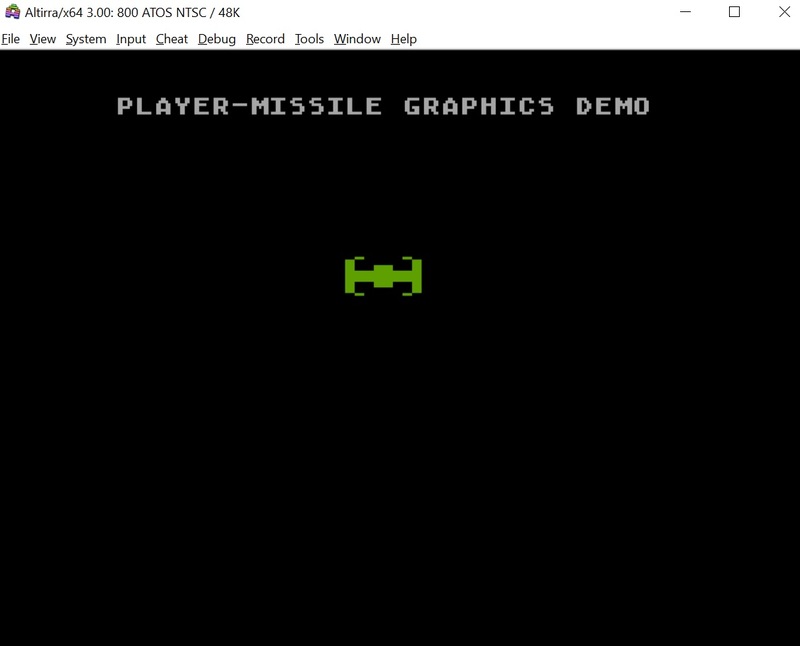 I have been working on a simple player-missile graphics demo in BASIC using the VBI for fast player movement. The code below is modified from Chapter 5 of Compute's First Book of Atari Graphics (p164). Everything works fine except that when I set a Graphics mode (e.g. 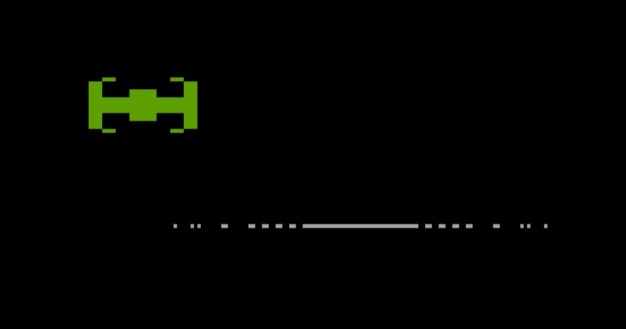 six or eight) I get a weird line on the screen that moves as the player moves up and down. This only happens when I specify a graphics mode. No graphics mode is fine. Graphics 0 is fine. I am stuck on why this is happening. I assume I am bleeding into a memory area. Here is the ATR file with the BASIC program. The code and a screenshot are below. Many thanks for your help!!! 40 REM Modifications by Jason H. Moore, Ph.D.
Edited by scitari, Sun Mar 24, 2019 3:31 PM. Yes, your PM area is overlapping the graphics area, so in gr.8 the dlist is at $8050 and screen memory starts at $8150. I updated the code with the correct memory allocations for GRAPHICS 0-5. I made a number of other edits and then did a blog post about PM graphics using a vertical blank interrupt movement routine. Here is the text file with the code and the ATR file. Hope this is helpful for others learning to program PM graphics for the first time. Feedback welcome! Edited by scitari, Mon Mar 25, 2019 7:16 PM.